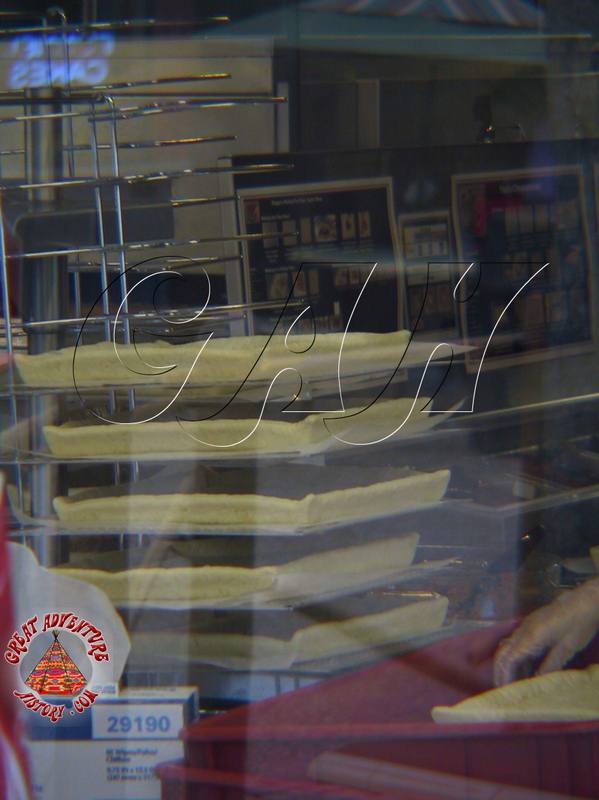 Parks have introduced many new foods to the public over time. 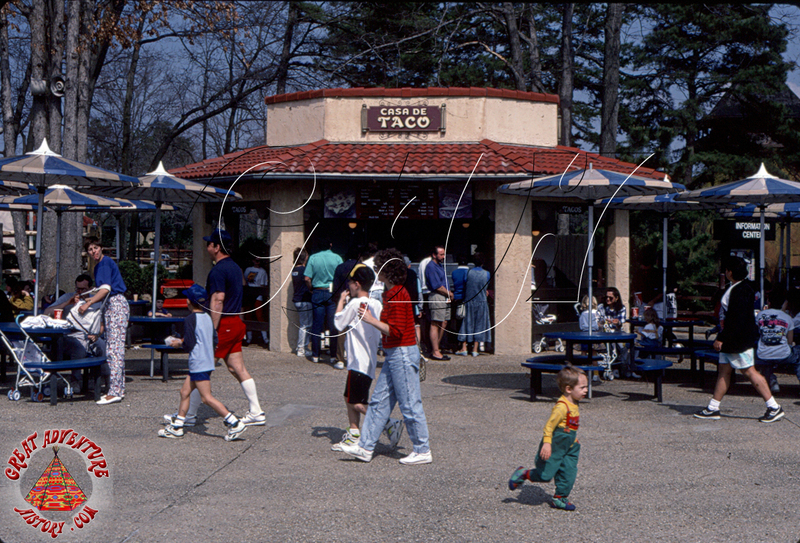 The hallmark of good park food is something portable that tastes greaT and is quick and easy to prepare. Tacos fit the bill for many parks and guests. 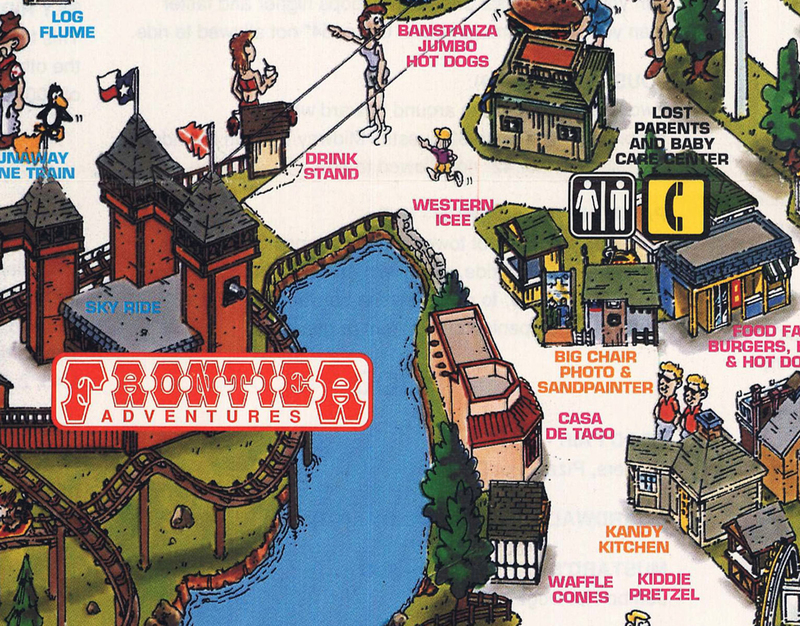 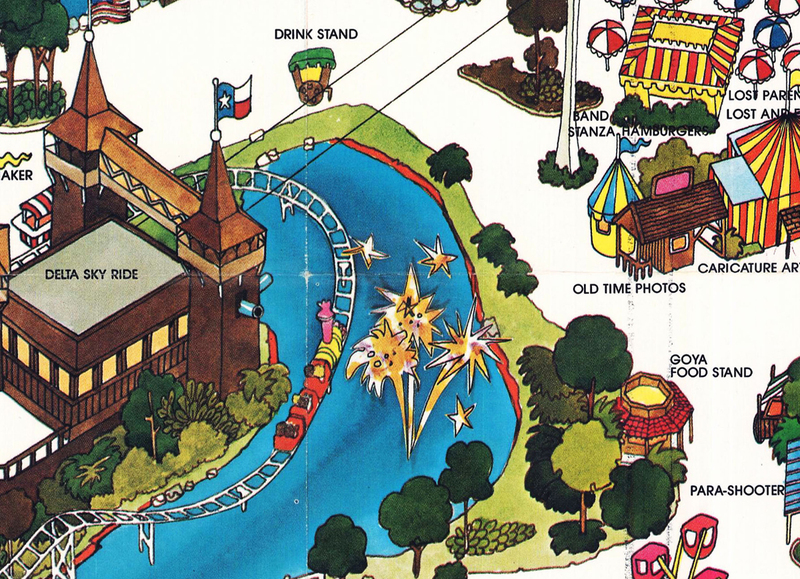 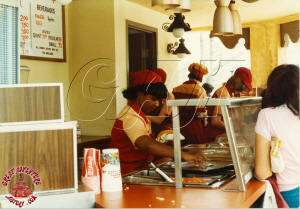 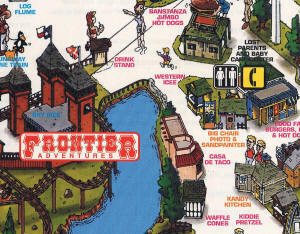 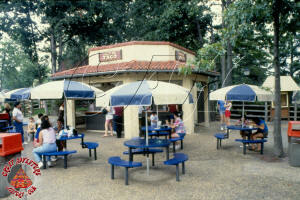 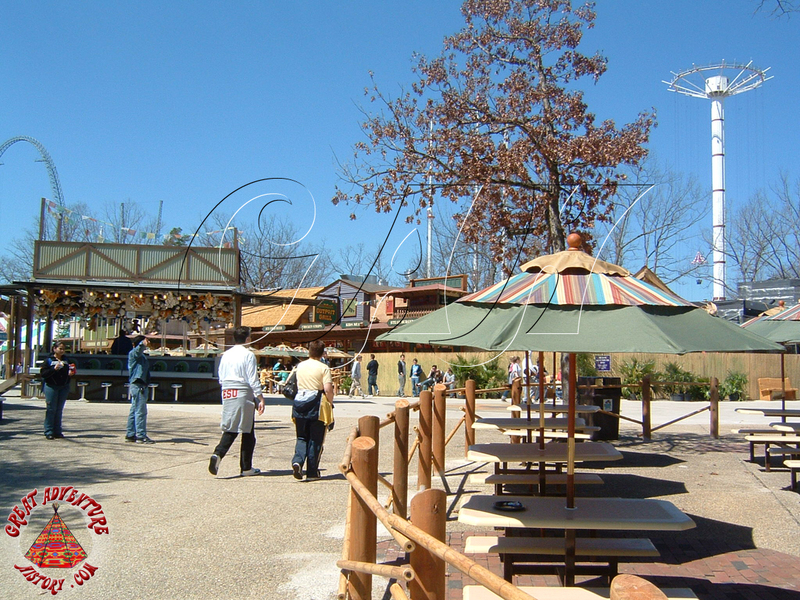 For the 1979 season, a new food stand was added to the end of Dream Street as part of the brand new southwestern themed Hernando's Hideaway area of the park. 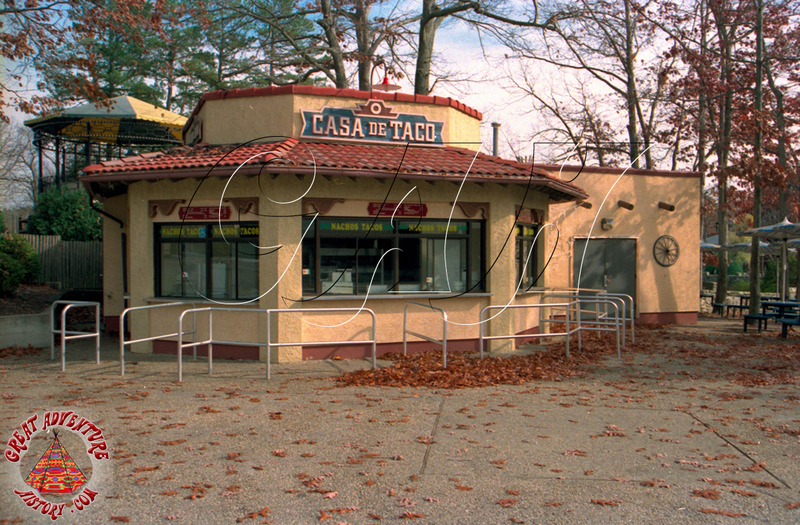 With the new Spanish colonial style architecture of this sprawling new region of the theme park came food to match, and as a result Casa de Taco debuted. 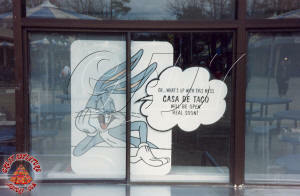 The New York based Goya company was the sponsor for Casa de Taco. 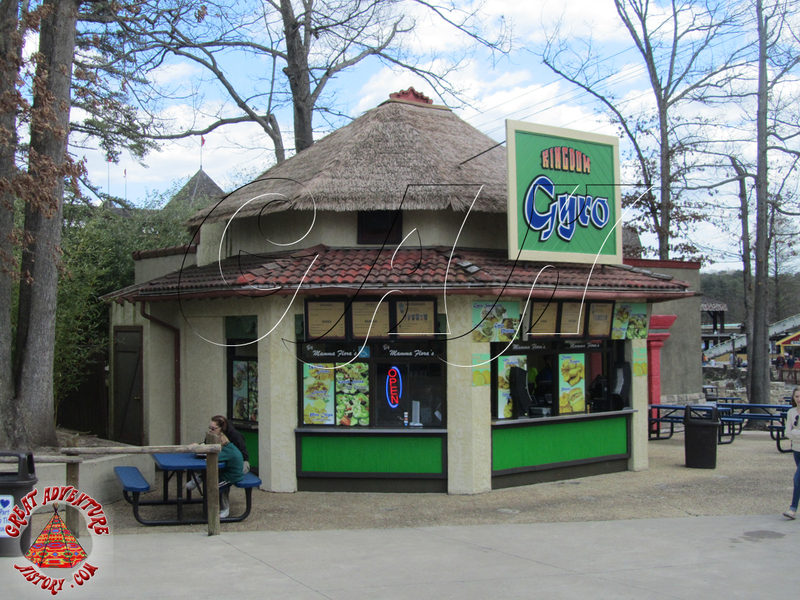 Goya was an importer of authentic Spanish foods and expanded to include Latin American specialties catering to America's growing Hispanic population. 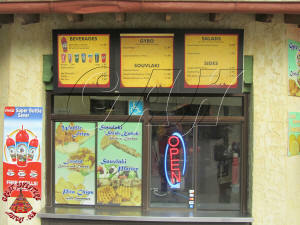 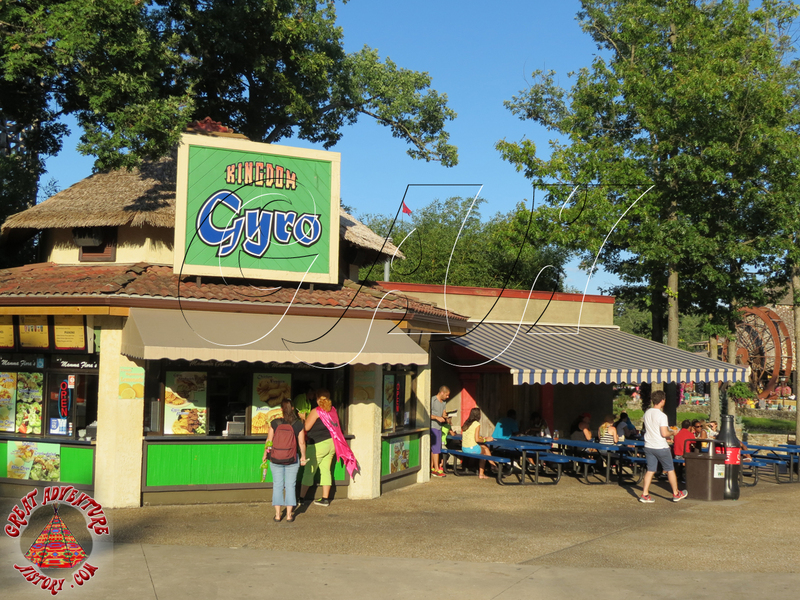 At its introduction, this style of ethnic food was a novelty that couldn't be found at many other venues outside of Great Adventure's gates and therefore proved very popular. 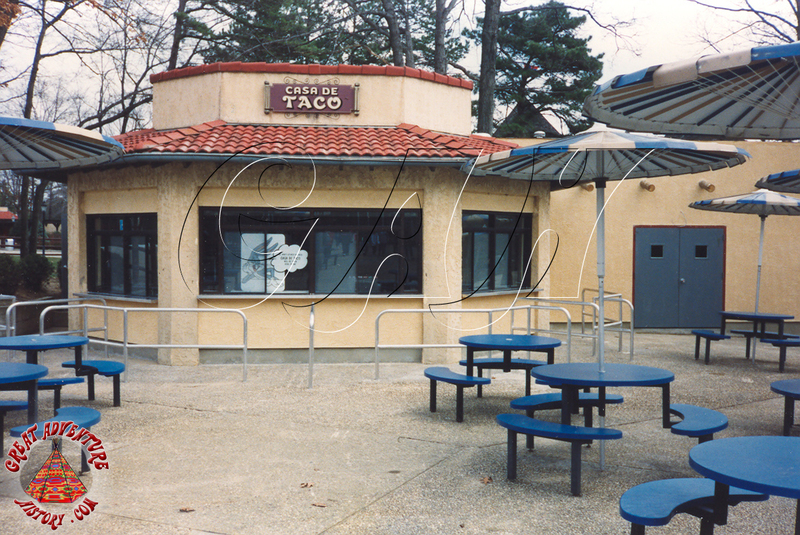 In 1992, Casa de Taco's backstage facilities were expanded with the addition of a new wing on the right side of the structure. This allowed for added storage space and a bigger working kitchen. 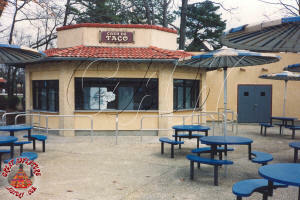 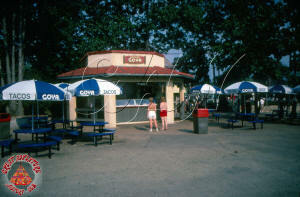 For over 25 seasons, freshly prepared tacos were offered from this quaint food stand located along the banks of the Lahaway Creek which ran behind it but changes were in store for this venue and the entire area around it. 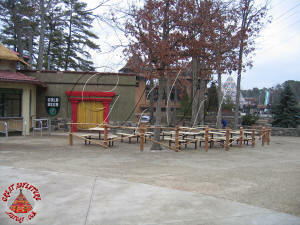 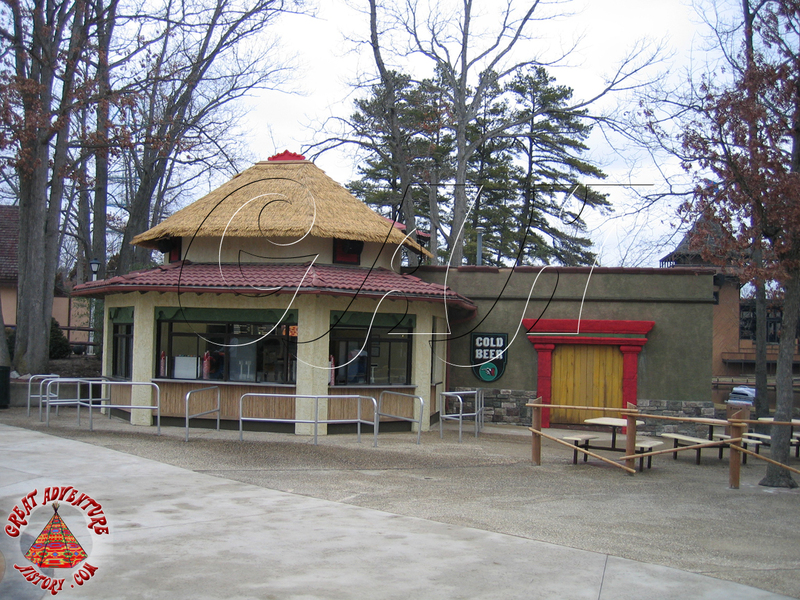 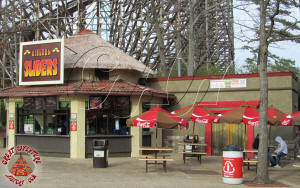 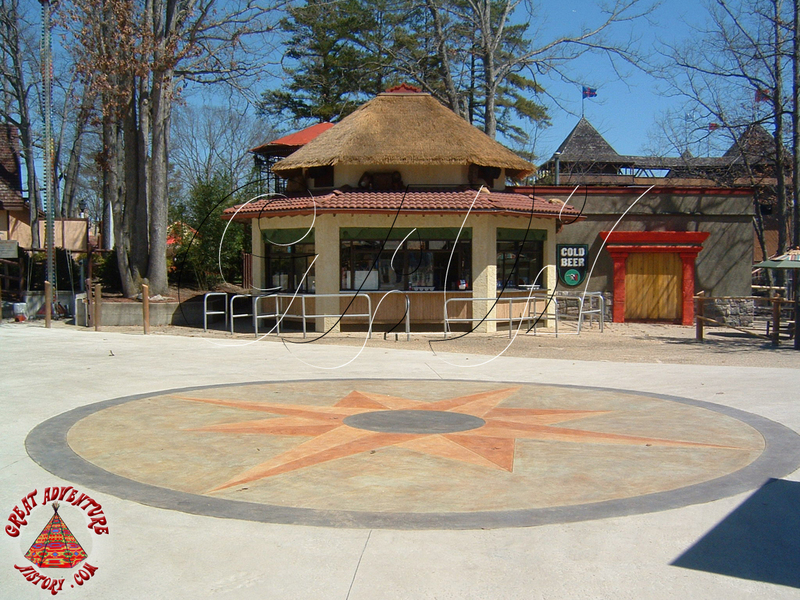 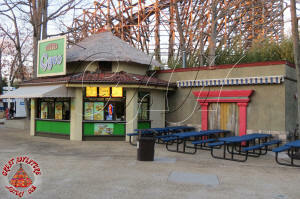 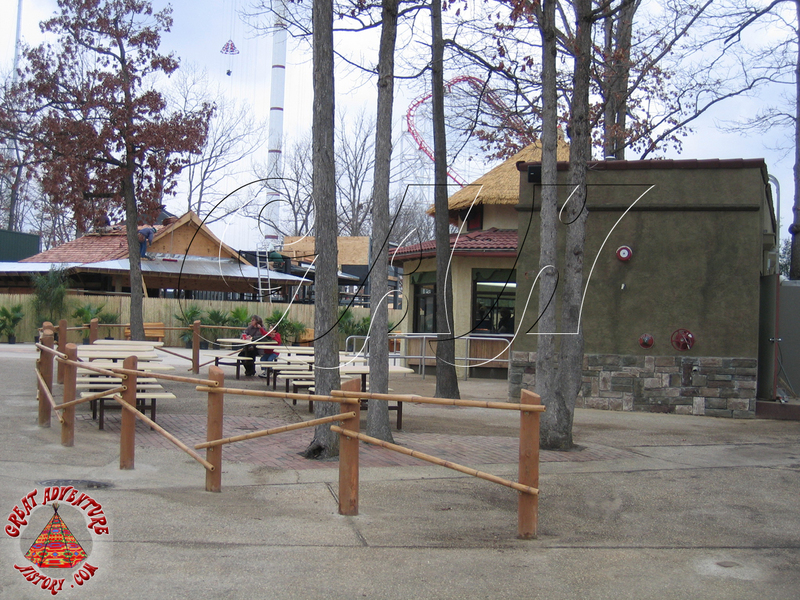 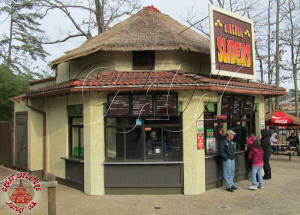 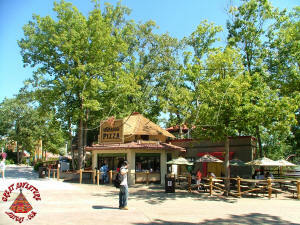 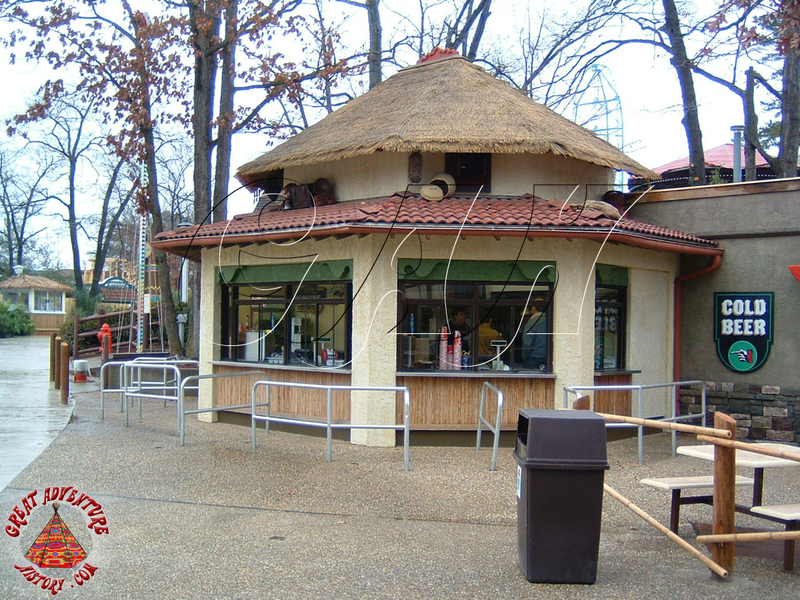 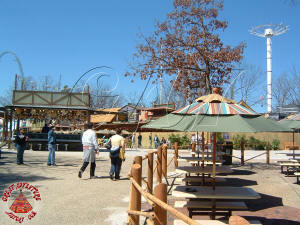 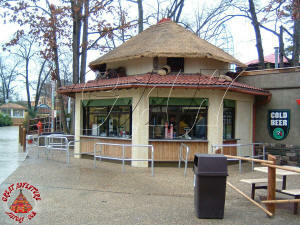 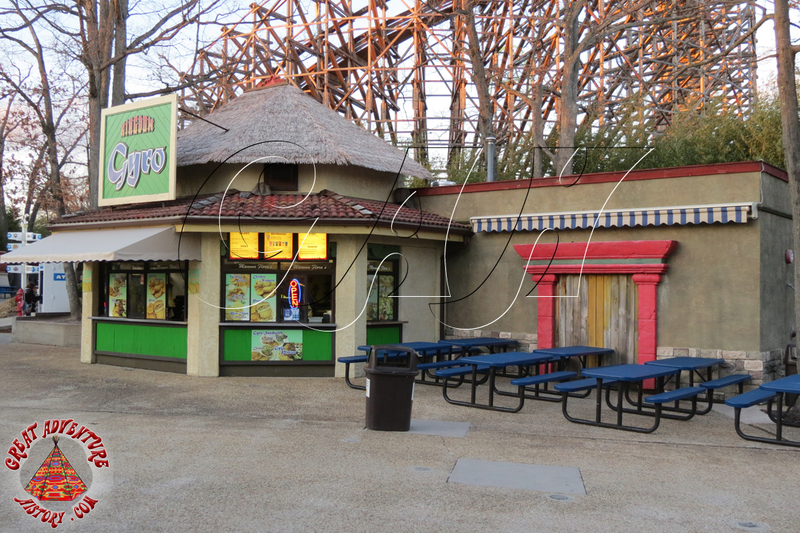 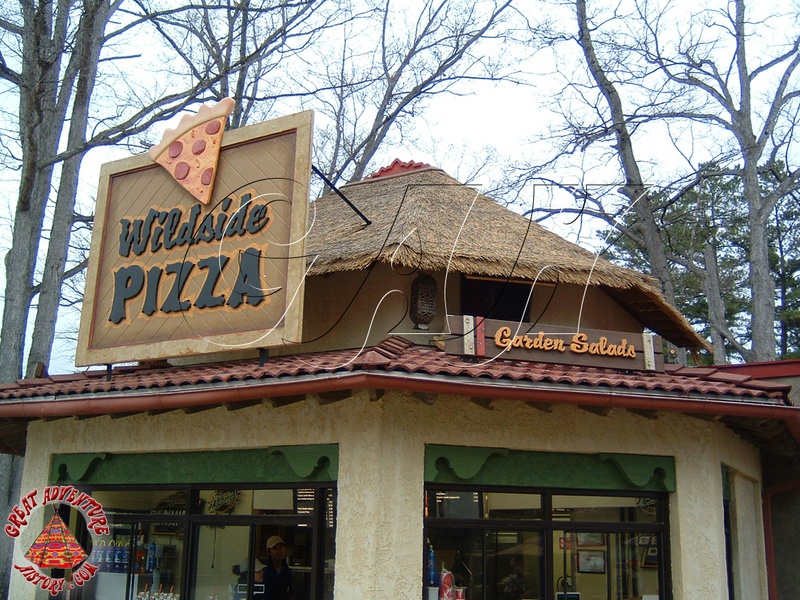 With the 2005 season, Casa de Taco was included in the brand new Golden Kingdom area of the park, and took on a new look and name as Wild Side Pizza. 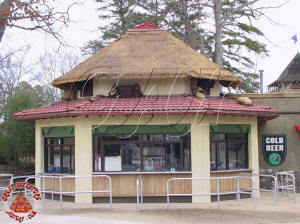 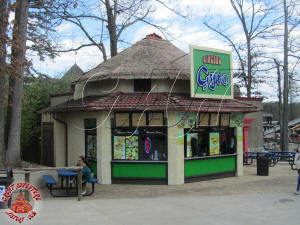 Gone was the clay tile roof and stucco style facade, enhanced with a new larger thatch roof and bamboo-surrounded patio. 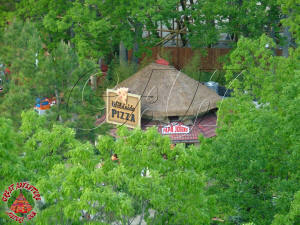 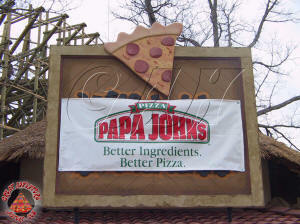 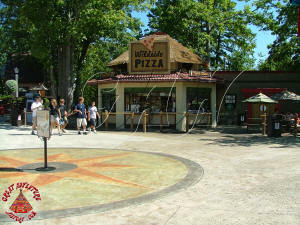 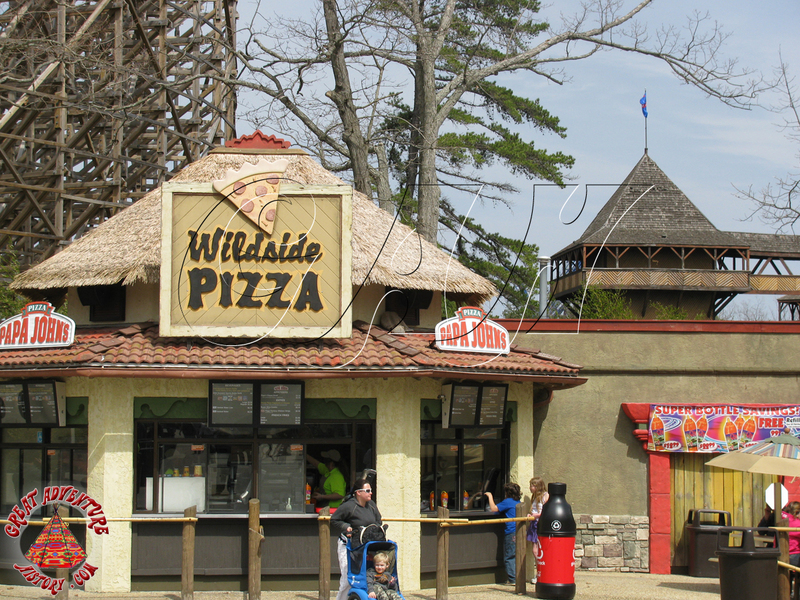 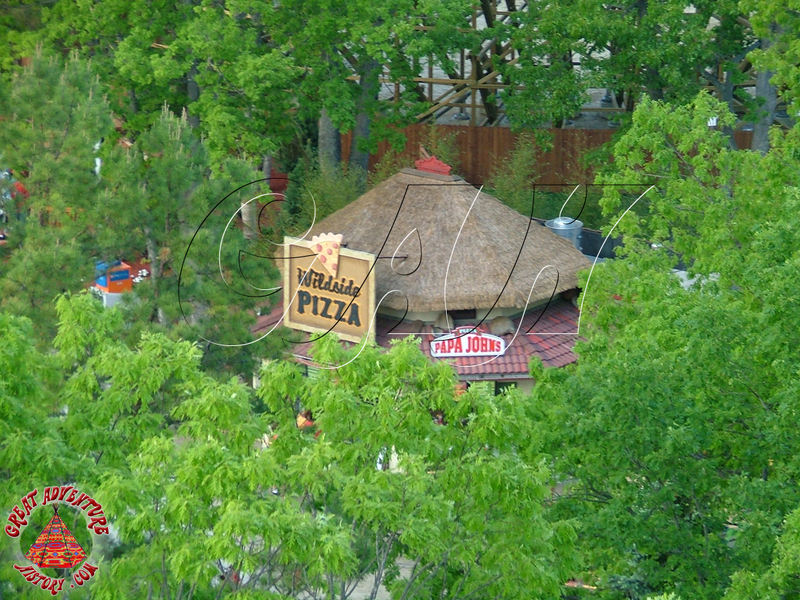 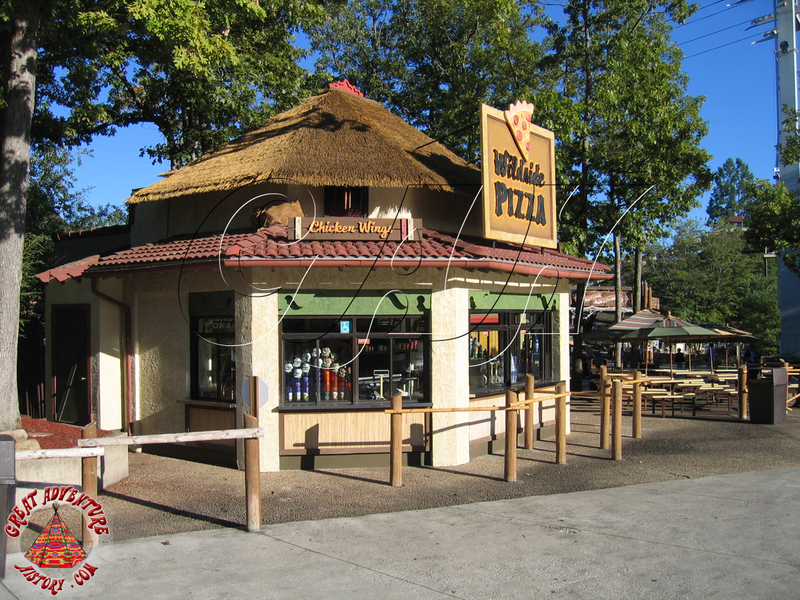 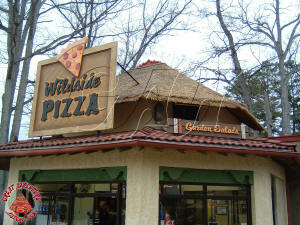 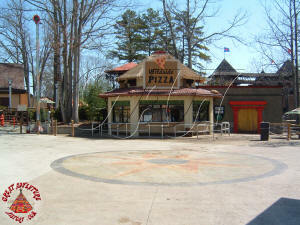 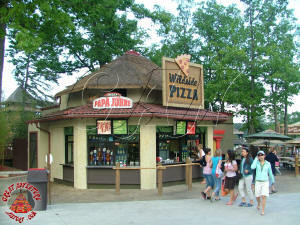 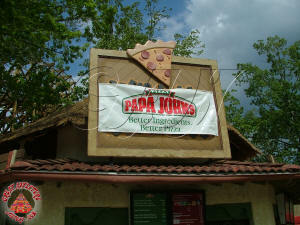 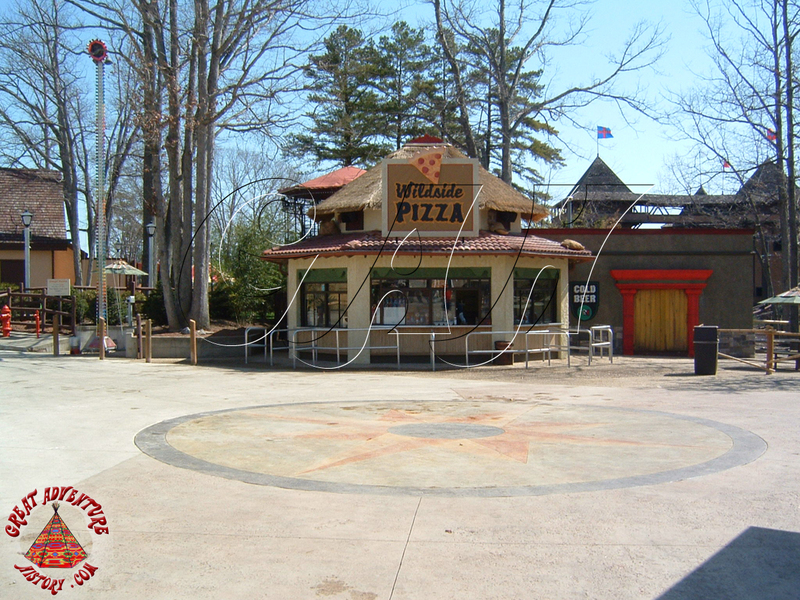 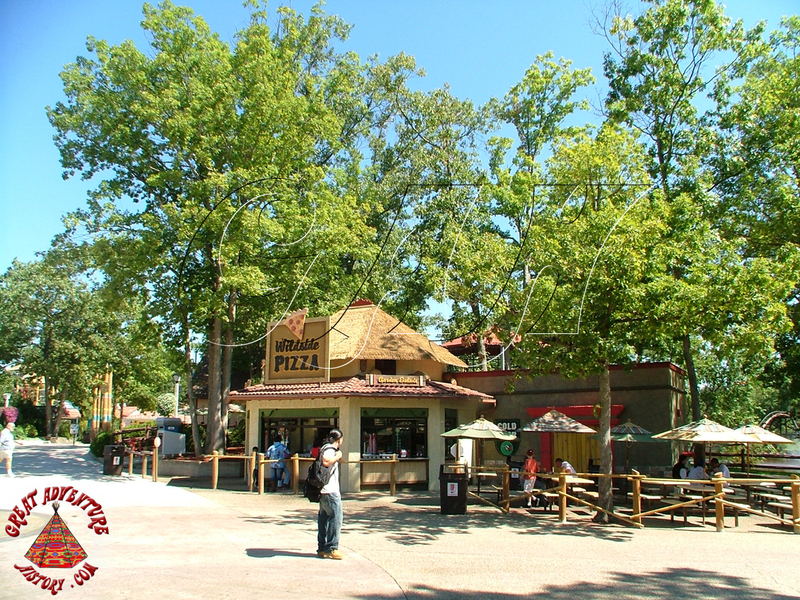 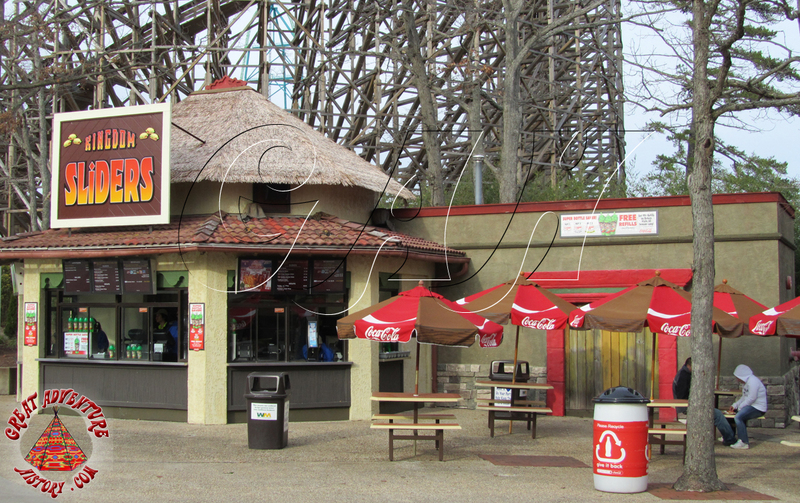 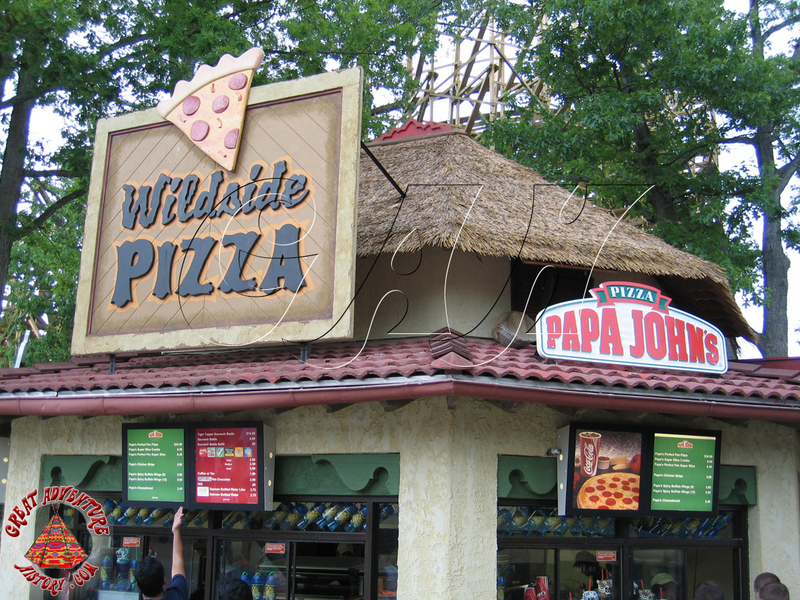 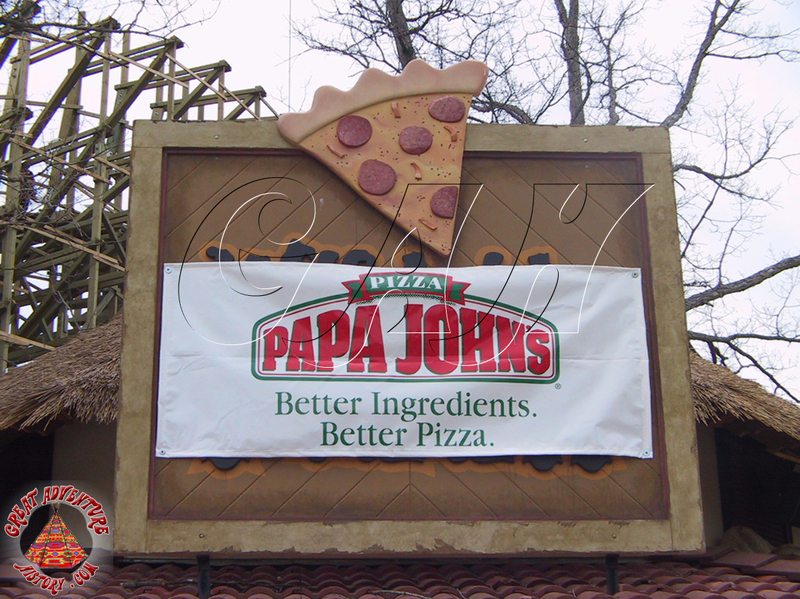 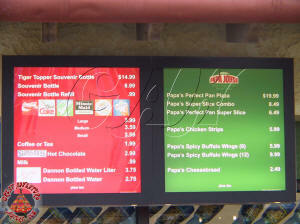 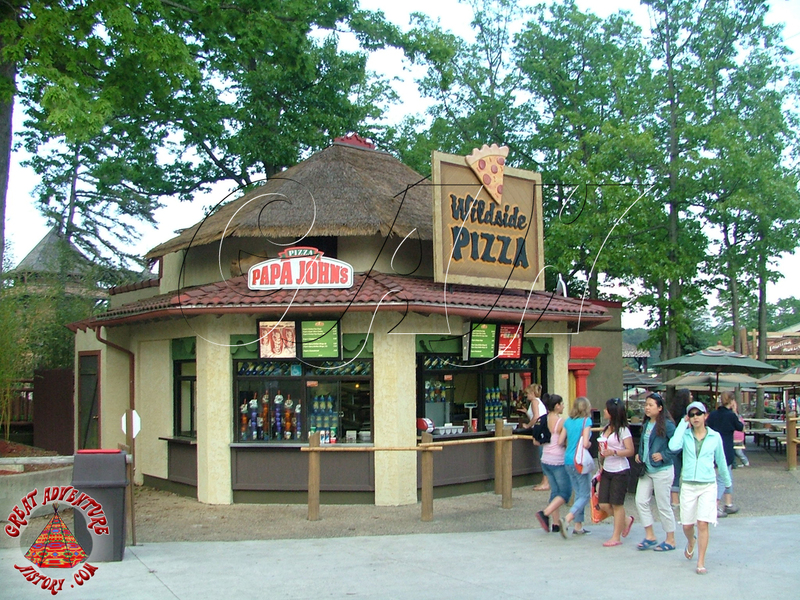 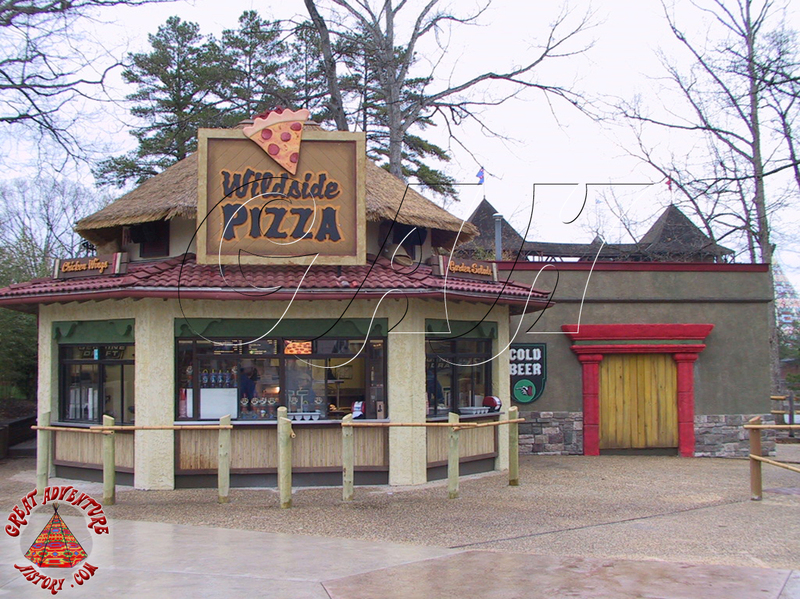 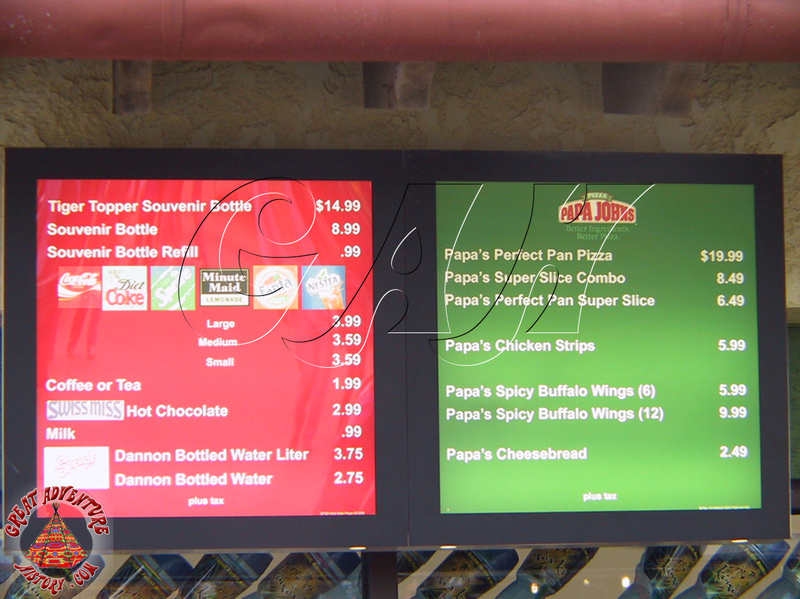 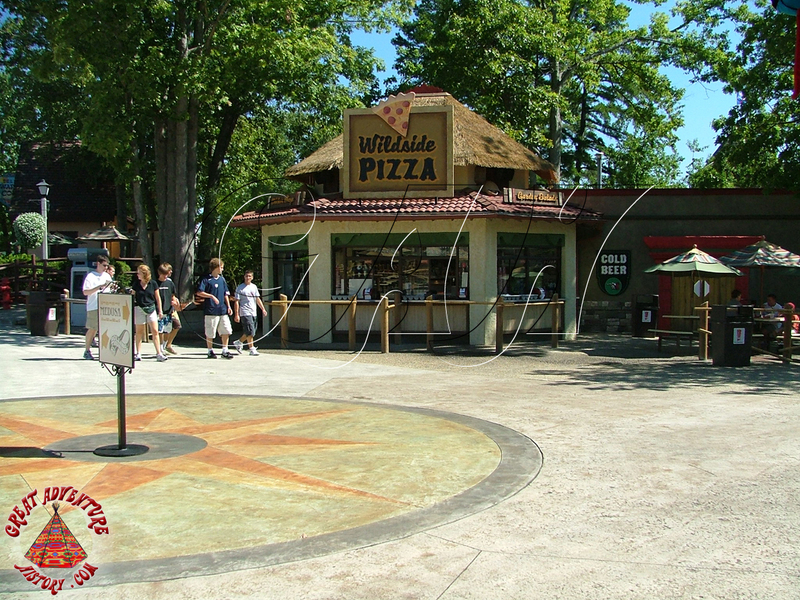 For the 2006 season, Wild Side Pizza took on the Papa John's brand name as Six Flags ownership decided that name brands would sell better in the parks. 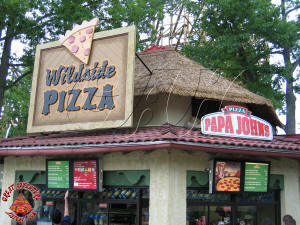 Papa John's continued to operate Wild Side Pizza through the end of the 2010 season. 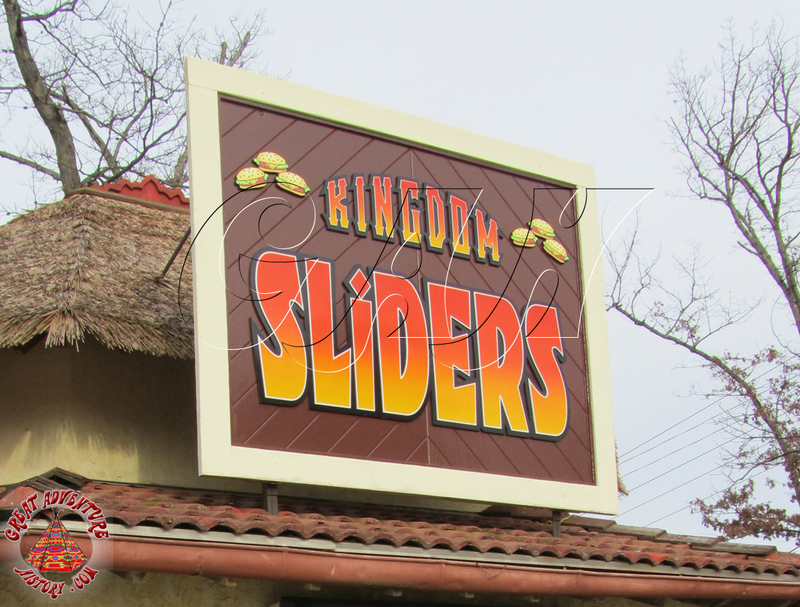 For the 2011 season, Great Adventure tried something new when it hopped on the "slider" trend and turned the restaurant into Kingdom Sliders. 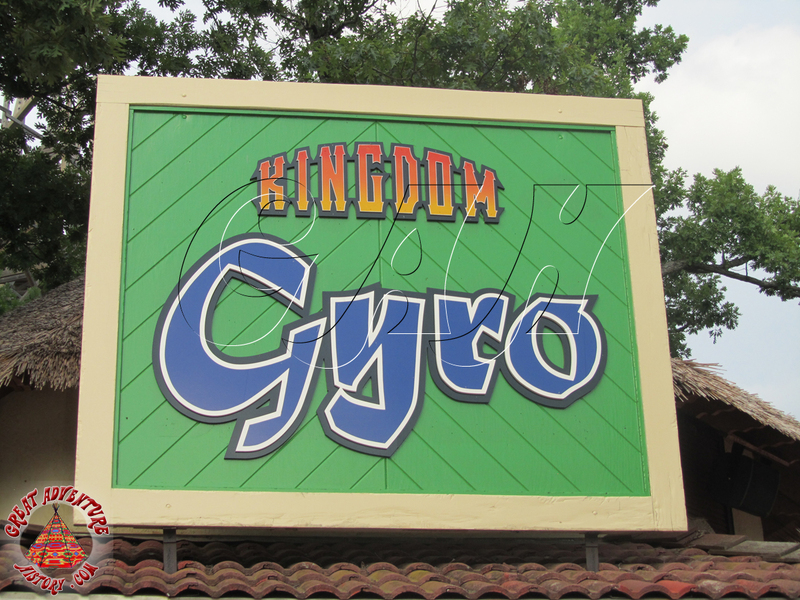 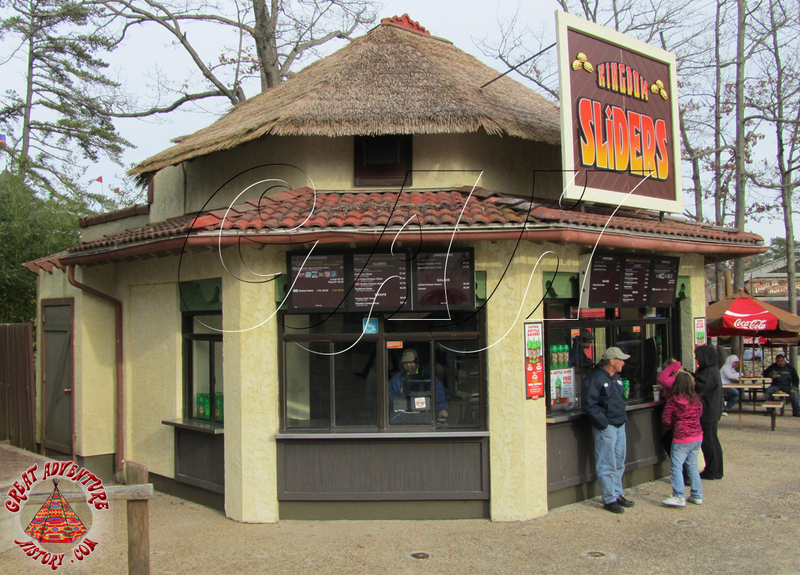 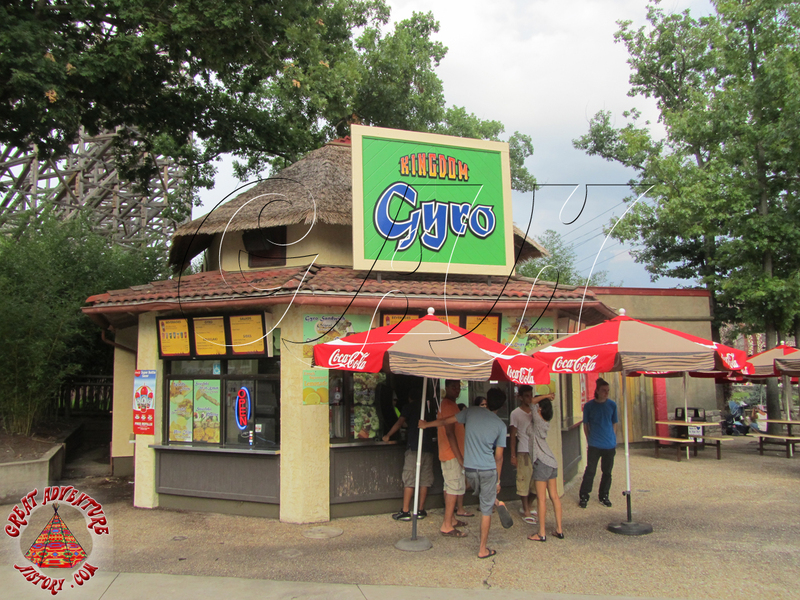 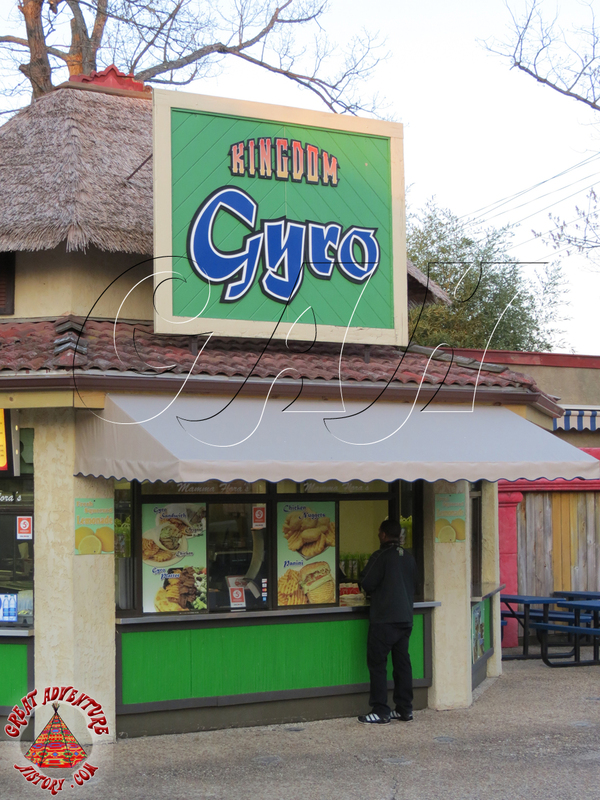 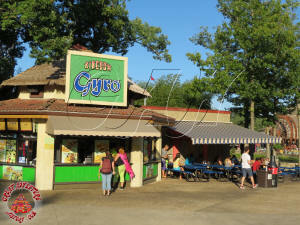 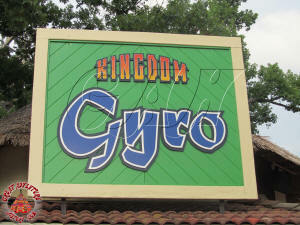 However, the novelty of sliders didn't really catch on with guests and the restaurant turned into Kingdom Gyro for the 2012 season.